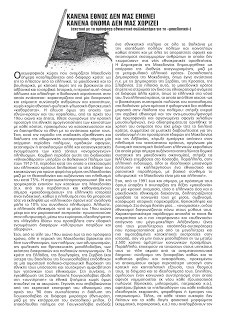 Για να διαβάσετε το κείμενο σε μορφή pdf, πατήστε εδώ. The geographical area called “Macedonia” is occupied nowadays by a number of states: mainly by Greece, Macedonia and Bulgaria, with some remote parts of it being located in Albania and Serbia. Historically, this area -just like the whole Balkan Peninsula which it is part of- is characterised by a timeless mixed co-existence of individuals and communities, without any kind of ethnotic-racial-linguistic-religious “purity”. The coming, though, of the era of nation-states and capital, since the beginning of the 19th century, set at the same time the state-command of national homogenization of communities at any cost, in order to construct and maintain nations with their respective states. Thus, during the gradual weakening and break-down of the Ottoman Empire, a never-ending period of wars, group slaughters, displacement or exclusions as well as forced intergration of the “heterogeneous” populations of each site began. A focal period of this ethno-cleansing procedure was the Balkan Wars of the years 1912-13, a period in which the expansionism of the Greek state doubled its territories at the time, conquering for the first time a part of Macedonia along with the city of Thessaloniki and increasing its population by 75%. The military/paramilitary force and terror spread against the residents of Macedonia (e.g. by the famous and sanctified today “macedonian-warriors” of Greek history) is indicative, as the population that could be considered “Greek” back then, made up just about 10% of the total population. Besides, Greek nationalism -from the middle of the 19th century to the military campaign in Asia Minor in the 1920s- took a lead in irredentism, through the dominant ideology of the “Great Idea” that was looking forward to territorial annexation of various “unredeemed lands and brothers”. Thus, from the late 19th century to the most recent years, the entire area of Macedonia is in a vortex of nationalisms, wars, irredentisms, racial and religious bigotries, of every inter-state and political antagonisms. The states of Greece, Bulgaria, Serbia (and later the Kingdom of Yugoslavia) raced upon a bloody political-military shielding of their national status and simultaneously a dispute upon their neighboring nationalisms. Subsequently, the establishment of Socialistic Yugoslavia put the national issues on hold without invalidating them at all. A fact confirmed by the blasting comeback of nationalism in the early 90’s when the dissolution of Yugoslavia in several smaller nation-states occurred, along with the breakdown of the eastern block. The following war in Yugoslavia brought out a nationalistic delirium all over the Balkans with the demolition of many cities and communities, as well as with all the necessary slaughter and displacement of millions of people who did not “fit” in the new nation-state demarcations. The Republic of Macedonia was created as an outcome of the -internationally recognized along the post-civil-war Greek state- Socialist Republic of Macedonia, as was respectively done e.g. with the Republics of Serbia, Croatia, Slovenia. In this context, the macedonian state had to settle its own nation-statism amongst a number of other states, as the Greek one in its southern borders. 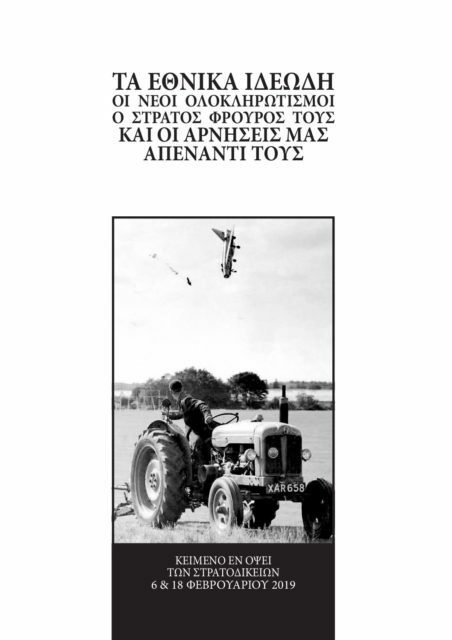 A Greek state, that from a place of power -as the main systemic pillar of capitalism in the Balkans- did not stand uninvolved or peaceful towards the war fury: it actively supported the Serbian nationalism and the anti-muslimism (with phenomenal and organized slaughters of thousands of muslims), while it denied without negotiation the use of the name that the biplane state held until then, it took part in secret consultations for the redistribution or the annexation of land in Macedonia and Albania, it declared embargo towards the population of the newly-founded state, it organized a dynamic economical penetration of Greek capital (which has been increasing until today comprising a core component of the macedonian economy), it supported the NATO operations in Kosovo. 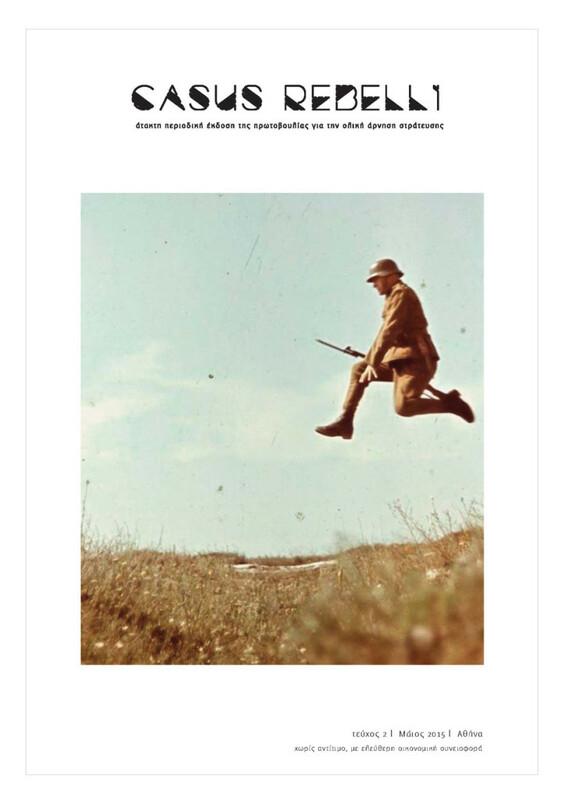 Meanwhile, in the Greek mainland, all the ideological mechanisms rushed to cultivate a nationalistic and racist rave, with its main and irredentist slogan: “Macedonia is one and greek”. 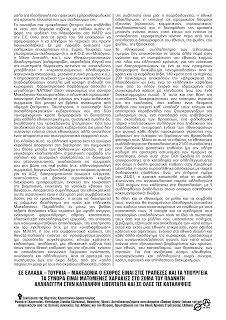 So, from 1991 until today, with the pretext of the terms of existence or non-existence of the word “macedonia” in a state name, both Greek and Macedonian nationalisms are spreading, mutually poisoning their societies with hatred, chauvinism, blatant historical misrepresentations, religionism and racism. Thus, in the name of a… “naming”, the two nationalisms are fighting upon their myths. The most indicative example is who is going to prevail as the most “proud” and “original” offspring of Alexander the great-slaughterer (one of the greatest butcher-emperors who made one of the largest and bloodiest military conquering campaigns in history), as if 2.500 years of countless social miscegenation have not taken place in the meantime. Meanwhile, they try to tone to their subject citizens the –already thriving by the anti-migration doctrines- syndrome of xenophobia, as well as the regime of fear and insecurity, in order to gain even more submission towards state and capitalistic power, to their institutions, their doctrines and their ideologies. Moreover, they sculpt a social conservatism in which on one hand every power pillar is legitimized (such as religion, militarism, patriarchy) and on the other hand every wannabe ideological spokesman, vote-seeker or merchant of patriotism finds its clientele. Finally, in any such chance every kind of fascist structures (political-party, parastatal etc) cannot be absent, taking over the role of the ideological and practical vanguard of state power and its planning. 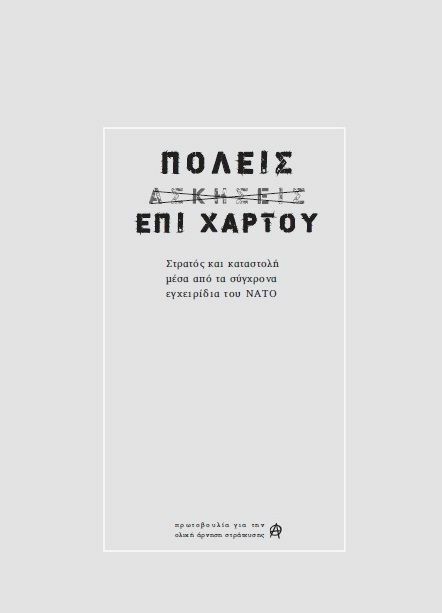 The now eternal “macedonian issue” is anew imposed on the public agenda, this time concerning the admission of Macedonia in the NATO and the EU (that since the ’90s have been trying to intergrate or control parts of former Yugoslavia). In a time of warfares uplifting (e.g. Syria, Turkey), of geostrategical planning (e.g. the Exclusive Economic Zones in the Mediterranean, the Middle East etc), of national-racist ideologies (islamophobia, far-right speech) and systemic shielding against “dangerous variables” or “superfluous populations” (social uprisings, migration flows etc), the uninterrupted continuity of state-capitalist restructuring constitutes a crucial pursuit of the dominance. A typical example, is the world’s largest NATO base on the borders of Macedonia and Kosovo: the planetary military-economic plunder on behalf of the euro-atlantic alliance can not meet obstacles from “bilateral issues”. At the same time, the coexistence of two “socialdemocratic” goverments in both “conflicting” states forms the possibility of an entirely ethnocentric, as well as systemic orderly settlement of the “macedonian issue”. Which proves that left goverments not only do not stand against nationalisms, but that they also constitute their necessary and modernizing mouthpiece. 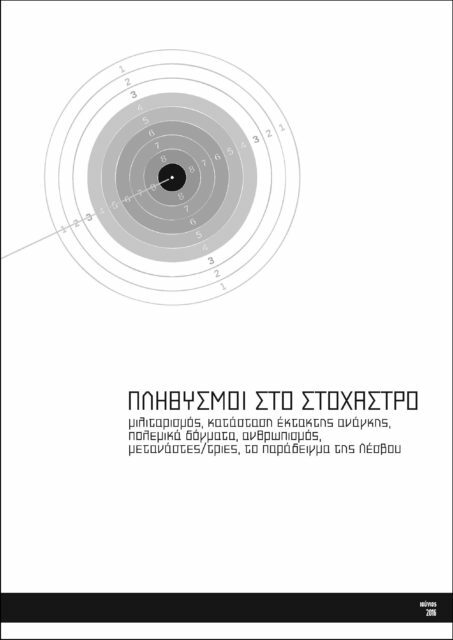 In this context, the Greek state (and the domestic capital) aims in maintaining the preservation of its hegemonic position amongst Balkan states, in a more general “multi-level” strategy: it projects political and border stability, the handling of the migration issue, it reorders the alliances on a real-politik basis (e.g. Greek-Israeli alliance), it competes (especially against the Turkish state) for the Exclusive Economic Zones, it negotiates energy pipelines, it is emerging as a basic European hub on merchandise management, it reinforces the tourist industry, it expands the NATO “death bases”. A necessary supplement of this nation-centric strategy is the finding of a compromising solution for the “macedonian issue”, a solution that handles the deeply rooted ideology of “one and only Greek Macedonia”. At the same time, amidst the deep class plunder caused by the “crisis”, (with high unemployment rate, increasing tax-raids, massive seizure of assets, more flexible and underpaid employment), the intensification of social/class exclusions, surveillance and confinement (e.g. via the “restructuring” of public transportations or the new code of Penal Enforcement), the death-policies against refugees/migrants (with concentration camps, hellish detention centers, deportations), a nationalistic agenda has, as always, a positive impact on dominance, against any social process of resistance, disobedience and solidarity. 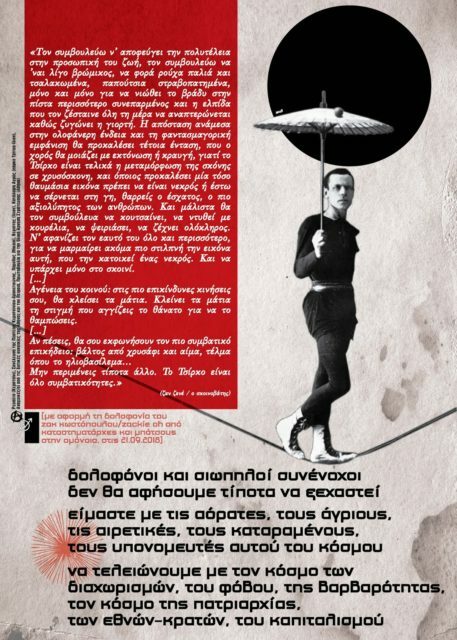 From the systemic left to the far-right, from the “common patriot” to the most extremist nationalists, the basis of the debate is one: the lust for patriotism, the national fulfillment, the submission to hierarchical authority institutions (state, political parties, the army, church) and the assurance of the state mechanisms against the “ones below” and against any emancipated movement beyond the artificial separations of nations, race, gender, religion. The recent nationalistic rallies aim to nothing else but the uplifting and engagement of the national core on the side of the Greek state, to reinforce the negotiations on the indeed obsolete, from states and capital, “naming” stake (already, 140 of the almost 200 states worldwide, call the “Republic of Macedonia” as such, while the “Greek” capital is one of the most active and well-established ones in the particular state with investments of more than one billion euros). That is why in the place of the “responsible discretion” of the official army and church has been appointed an institutional gutter that acts on their behalf: honorary and retired military that cheer about their militarism, a clergy that confirms the obscurantism of religion, a folklore circus of “cultural” associations demonstrating the traditional spiritual poverty of nationalists and of course parastatal groups of any kind that found the opportunity to throw out their dastard fascism. 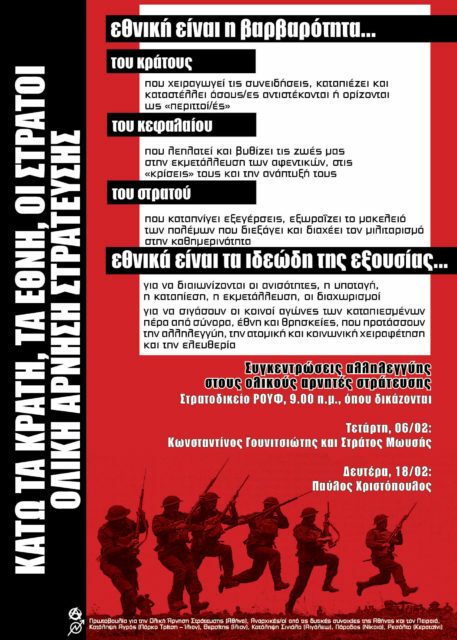 Within this context, the nationalistic rally of Thessaloniki on the 21/01 was accompanied by successive fascist attacks (having full cover from the left police of our days) against squats, such as the one on the Free Social Space “Sholeio” (“School”) that was repelled by squatters and solidary people, and the double fascist attack on the squat Libertatia, that was burned down to the ground in a clear murderous intention. 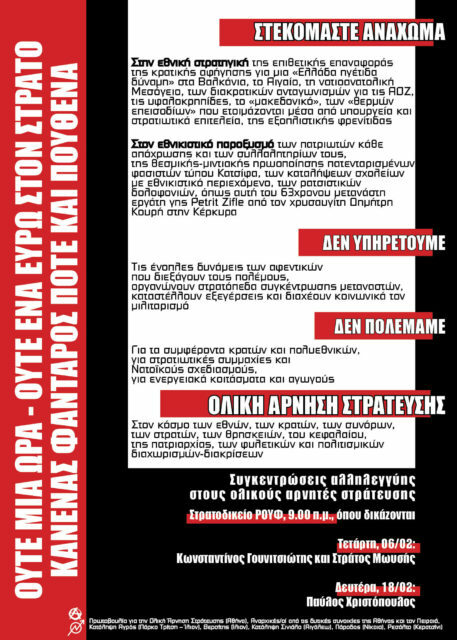 All this, while on the following day of 22/01, state repression took over by striking down the reflexive solidarity demonstration of 1500 people that was called in Thessaloniki, resulting in 5 arrested protesters who were charged with criminal prosecutions. Nations and nationalisms, their legends and symbols, have always been and will always remain ideological self-deceptions calling the oppressed to join hands with their oppressors. Their worldwide history and crimes reveal both what they are made of and the future they hold as well: war, uprooting, extermination, exclusion of the “ones below” within and out of a national territory, to the benefit of the state and the bosses. Against all national ideals and any other ideology of dominance, we put forward the social/class struggles of the “ones below” against the authoritarian brutality of states, nations, capitalism, religions, armies. For a world of no authorities, a world of freedom, self-organization and solidarity without borders, nations, bosses and artificial separations.